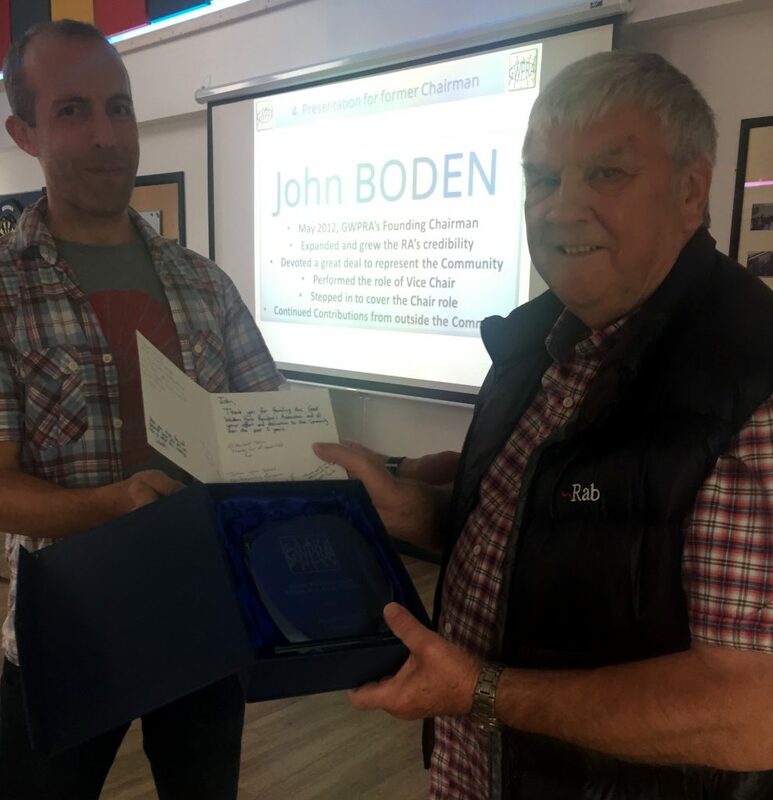 John Boden has sadly stepped down from Committee Roles with the GWPRA. At the last Residents’ meeting he was presented with a card and engraved memento by the Committee. John was the founding Chairman back in May 2012 and has given so much of his time and effort as both Chair and Vice Chair. We are all extremely grateful for all his hard work and hope he is able to continue to attend the meetings.